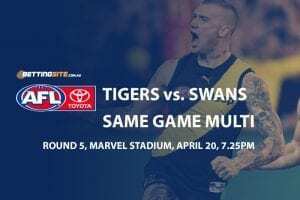 The fortunes of the two teams heading into Saturday night’s crunch match up between the Tigers and the Dragons could not be more different. Wests Tigers have been on a tear recently, winning four of their last five matches. 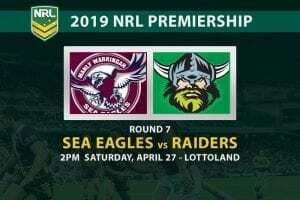 The last gasp win against the Canberra Raiders in round 22 put the Tigers within two points of the eight placed Broncos as their late push towards the finals continues. St George is floundering and had they not started the season in red-hot fashion, they could be in danger of relinquishing their finals position. The Dragons were smashed last week against the lowly Parramatta Eels 40-4 in a dismal display. The fall from grace from the league leaders after 17 rounds has been staggering and borderline inexplicable. 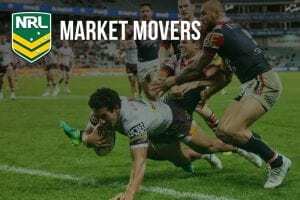 Will the Tigers continue to push their claim for a finals berth or will the Dragons arrest momentum back in their season? Luke Brooks has enjoyed his best season in Tigers’ colours and has been a linchpin in his side’s resurgence in the latter half of 2018. Brooks is right in the Dally M mix heading into the final stages of the season, and he will do his chances no harm with another strong showing on Saturday. Ben Hunt’s latter half to 2018 has been the polar opposite of Brooks. The chief playmaker has been down on his early season form, and has been a big reason why the Dragons have been struggling to register wins. Look for Hunt to get back to his best on Saturday night. 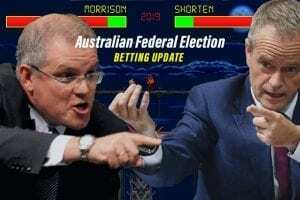 Tigers vs Dragons – Who wins? 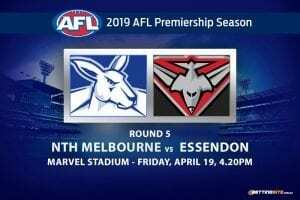 We’re big believers in the power of form and there’s no greater disparity in the recent showings this round than the one between the Tigers and the Dragons. 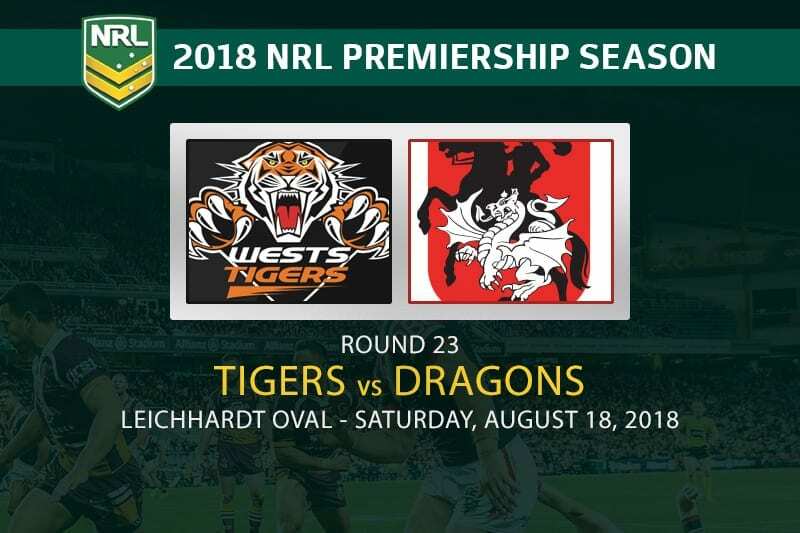 The Tigers actually boast a win in the last five weeks against the Dragons, and they are one of the best teams in the competition based on the last six weeks. Conversely the Dragons have been dreadful. After sitting atop the ladder after round 17 the big red V have been in freefall. 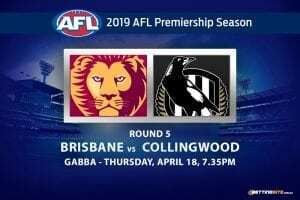 It’s hard to pin down exactly what was happened, but it seems unfathomable that this is the same team that were considered a premiership threat five weeks ago. The Tigers should continue their hot form in this one, and we’re expecting them to keep the pressure on the eighth placed Broncos for that final position inside the top eight.